Spring Cleaning is a necessity in every home, office, or commercial building , and End Of Lease Cleaning Pty Ltd can leave your property sparkling. Over time dust, dirt, pet hair, and other items tend to accumulate, and the paint on walls may absorb pollution and odors as well as becoming soiled or marked up. Daily general cleaning does not cover every aspect of the home or property. 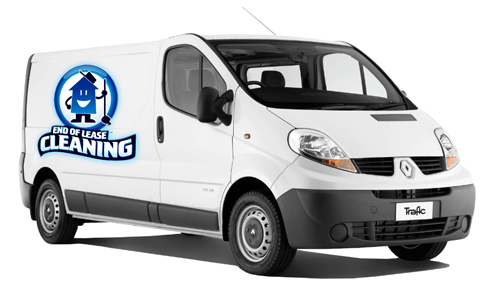 The Spring Cleaning services and packages offered by End Of Lease Cleaning Pty Ltd are designed to cover every area of the property and leave it looking like new. The qualified and experienced cleaners from End Of Lease Cleaning Pty Ltd will take care of any spring cleaning task that needs to be done, from floors and walls to windows and baseboards. All of the cleaning products and supplies are provided. These products are guaranteed to be environmentally friendly, biodegradable, and non toxic, so they are safe for your family and pets. End Of Lease Cleaning Pty Ltd offers exceptional quality, fantastic customer service, and a reasonable price that is highly competitive. We can help any property look the best possible and give it a sparkling appeal. We understand the stress that just thinking about Spring Cleaning can bring, and we can help you eliminate this stress while getting the desired results. Our cleaning services meet or exceed customer expectations and we offer peace of mind with our cleaning guarantees. Our professional technicians will take care of cleaning the entire property, from the top to the bottom, while you relax and enjoy the day. With End Of Lease Cleaning Pty Ltd there is no reason to delay going back to the property. The cleaning solutions that are used are all industrial strength so they are tough on dirt and marks, but these solutions are all non toxic and biodegradable. The products are safe for use around animals and humans so there is no harmful residue left behind. Our technicians are all highly trained and experienced in the cleaning industry . The professional technicians that End Of Lease Cleaning Pty Ltd provides will make your home or other property shine, and it will be in a condition like brand new so there is nothing left for you to do. We offer customised services and packages designed to meet the needs and scale of any project. This is true whether you only need a team of 2 cleaners for a few hours or you need a crew of 10 cleaners for several days. Our extensive experience working with clients and property owners have given us the skills and the knowledge needed to do the job right. We offer numerous Spring Cleaning packages that can be customised to cover the specific cleaning tasks that you are looking for. The professional cleaning technicians from End Of Lease Cleaning Pty Ltd will make the property as clean as possible so that it is attractive and inviting. Over time dust, cobwebs, pet hair, dirt, and other substances can build up in corners and a number of unexpected areas. Our cleaners can eliminate this build up and give your property a whole new look that is astonishing. 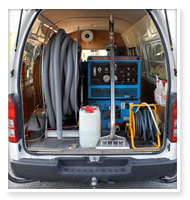 The End Of Lease Cleaning Pty Ltd technicians will arrive with all of the safety, cleaning, and protective equipment that will be needed to ensure that specific location is thoroughly and properly cleaned. Every property is different, and we will customise the packages and services provided to meet any cleaning needs that you may have. The exceptional results that we give keep clients coming back when additional cleaning services are needed. The pricing in place at End Of Lease Cleaning Pty Ltd is both fair and extremely competitive, and it is structured in an easy to understand manner. The charge is per cleaner per hour, and the total price is calculated by multiplying the number of cleaners needed by the number of hours spent on the location. We can handle any size cleaning project and location, and can send any number of cleaning technicians needed. The number of cleaners provided is designed to get the property cleaned thoroughly, properly, and quickly. The services that are provided by End Of Lease Cleaning Pty Ltd can be customised to meet the specific requirements of any client. 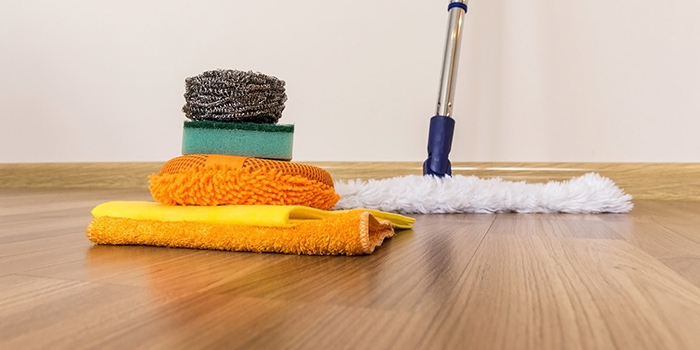 The Spring Cleaning package offers a standard list of cleaning tasks, but every property and client may also have special requirements and cleaning tasks that need to be performed. If any additional services are required then all you need to do is create a list and give it to us. The listed cleaning tasks will be taken care of in addition to the standard tasks included in the package. 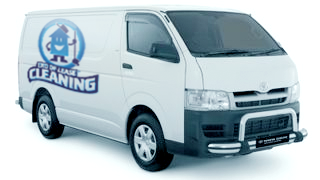 A 2 hour minimum is required for the Spring Cleaning services provided by End Of Lease Cleaning Pty Ltd. The following listed services are included in the standard cleaning tasks performed, and additional services are available upon request. Q: How many cleaners will I need? The number of cleaners needed for a property will depend on many factors. The size of the property, the scope of the cleaning services requested, and any special tasks needed will be used to figure the optimal number of cleaners that will be needed to take care of the project quickly and professionally. Yes. End Of Lease Cleaning has all of the required and recommended insurance coverage for the industry. Q: Does the property have to be emptied before cleaning? No. Our cleaning technicians can clean properties that are furnished, as well as those which are empty. Furnishings will normally require more time for the cleaning services and furnished homes or properties will normally take longer to clean thoroughly. Q: Why is advance notice required? End Of Lease Cleaning recommends booking the needed cleaning services as soon as possible. This will ensure that appropriate scheduling of the technicians and any needed equipment can be done. Emergency cleaning services are always available and do not require advance notice. Q: Why is there a 2 hour minimum for Spring Cleaning services? Our Spring Cleaning package involves cleaning your property completely, and this requires a significant amount of time. Even smaller homes and apartments will take a minimum of 2 hours for the standard listed services when a team of 2 cleaners is used. Q: What if I am not satisfied with the services provided? End Of Lease Cleaning offers a satisfaction guarantee. If any item is not cleaned to the customer standards then we will clean it again at no charge. For the guarantee to be valid a list of the items that need to be cleaned again must be sent to us via email within 36 hours of the services being provided. 1 Day notice is required so the appointment for cleaning the items again can be scheduled. Q: Will the cleaning technicians from End Of Lease Cleaning move furniture? No. Our cleaning technicians can not be responsible for moving furniture or items that could be broken. If possible the technicians will assist with light items but they can not be responsible for the outcome. Q: Why will not the cleaners move knickknacks when dusting? Knickknacks and other items that can easily be broken will not be moved by the cleaning technicians. This is also true of electronic equipment. Q: How much does the Spring Cleaning package cost? The cost of the Spring Cleaning package will depend on several things. The number of cleaning technicians needed, the time spent providing the services, and any additional services requested are all included in the final cost of the package. Q: Will the carpets be steam cleaned? No. The technicians will vacuum and edge carpets but we do not steam clean carpets. Q: Does End Of Lease Cleaning supply all of the supplies and equipment needed? Yes. You will not have to provide anything, the cleaners will bring all of the equipment and supplies needed for the services and packages requested. Q: Can garages be cleaned? Yes, if this service is requested. Q: What if I want my basement cleaned? End Of Lease Cleaning can provide basement cleaning on request. This must be requested when the appointment is booked. Q: Where is the household rubbish taken? Household rubbish removed by the cleaners will be placed outside in the receptacle provided by the client. Q: Do the Spring Cleaning services include the home exterior? The standard list of services in the Spring Cleaning package only covers the home interior. The exterior of the home can be cleaned if this service is requested as an additional service. Q: Are all exterior windows cleaned? No. Window exteriors can be cleaned as an additional service but you must request this service when you book the appointment. Q: How often is Spring Cleaning needed? End Of Lease Cleaning can provide Spring Cleaning services as often as you feel these are needed. Most properties should be done 1 or 2 times a year at a minimum. Q: Can End Of Lease Cleaning handle large properties? Yes. We can arrange for any number of cleaning technicians so we can handle even the largest commercial properties. Q: Do commercial and retail properties need Spring Cleaning services? Yes. Every property benefits from being thoroughly cleaned once or twice a year. Our Spring Cleaning services are designed to get areas that general daily cleaning often misses or overlooks. These services also deep clean surfaces and rooms, leaving your property in perfect shape. Q: Are Emergency cleaning services available? Yes. We understand that emergencies happen at inconvenient times, like the middle of the night or on weekends. Our emergency cleaning services are available around the clock every day of the year. Q: Can I arrange for periodic cleaning services? Yes. You book the services that you need when you need them. 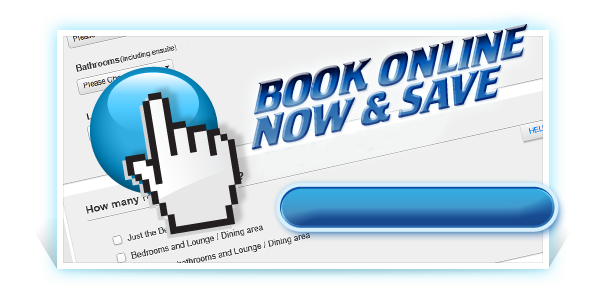 This means that you decide how often services are received and what services are booked.